Do you think a meteorite the size of a TV could have as much energy as 13 tons of TNT? Every day a meteorite comes down and strikes the Earth without us even knowing it. A meteoroid is a small body moving in the solar system that would become a meteor if it entered the earth’s atmosphere. A meteorite is a meteoroid that survives through the Earth’s atmosphere and makes an impact on Earth’s surface. Meteorites can either cause little to no damage or massive damage. It took several different steps to figure out the mass of the meteor using the density and the volume. With certain calculations my mentor and I have come up with a kinetic energy of 56 gigajoules for a meteorite the size of a TV, the density of rock and a velocity typical of meteorites. Once the meteorite makes an impact into the ground the kinetic energy that is within the meteorite gets converted into different types of energy. The ground expands around the meteorite creating a crater; the air heats up as a result of the explosion; sound waves are created and travel through the air. It is surprising to hear that a TV the size of a meteorite can create so much damage. The Sudbury Basin in Ontario, Canada is the second largest impact crater known on Earth. The Sudbury Basin is also known as the Sudbury Structure or the Sudbury Nickel Irruptive. The basin is located on the Canadian Shield in the city of Greater Sudbury, Ontario. The impact was 10-15 kilometers (6.2-9.3 miles long) in diameter. This meteorite occurred 1.849 billion years ago. The explosion resulting from impact was quite big. The debris scattered over 1,600,000 kilometers squared (620,000 square miles) and traveled over 800 kilometers (500 miles) away. The considerable erosion have occurred since the Sudbury event, an estimated 6 kilometer (3.7 miles) in the North Range, it is difficult constrain the actual size of the Sudbury crater, whether in diameter of original transit cavity, or final rim diameter. The rock fragments ejected by the impact were found as far as Minnesota. In 1891, the Canadian Copper Company started mining copper from the Basin. Soon afterward, they discover that the crater also contained nickel. The nickel was found in the crater that crashed onto the Earth. Today the International Nickel Company operates out of the Basin and mines 10% of the world’s nickel. At that time, there were no humans that were hurt considering there were no humans back then. The last meteorite crash that occurred was in South Africa located at the Vredefort Dome. It is bigger than the one in Ontario, Canada which makes it the largest in the world. There are about 130 crater structure impacts still visible in history. This one is the largest clearly seen impact site in the world along with it being the oldest. The impact was 186 miles wide and it was a 6 mile wide meteorite. There were hills in the dome that are 70 kilometers long in diameter. The impact was 2.023 billion years old. The center of the dome was originally thought up by a volcanic explosion but later in the 1990’s it was revealed to be a huge bolide impact. A bolide impact meteoroid is a sand to boulder sized particle of debris in the Solar System. The crater is now in the center of 3 towns. The meteorite strike resembles a dome, which was created when the walls of the crater slumped. Northern Desert (Arizona) meteorite was the first impact crater to be recognized on Earth. According to scientists research they have found to believe that it faster than before.The meteorite was 160 feet long. The crater left was a mile wide and 570 feet deep. The name of the crater was meteor crater. It is also known as the Barringer crater due to the family who owns the spot where the crater is located. Scientists believe that the crater was traveling 28,600 miles per hour. The explosion was about 150 more times powerful than the Hiroshima atomic bomb. The area surrounding the crater is rich in nickel and iron. The Soviet Union has sent more than a dozen spacecraft to Venus called Venera. Many have succeeded and have passed through the Venus atmosphere but after 20 to 120 minutes, they were crushed. While rovers are exploring the planet Mars, why do we not know much of Venus after so many attempts? Many scientists have dreamed about overcoming Venus’s harsh atmosphere in order to explore the surface of Venus. Venus is known as Earth’s “sister planet”, but it’s atmosphere is composed mostly of carbon dioxide.This causes a greenhouse effect and the temperature on the surface of Venus is 460 degrees Celsius on average (860 degrees fahrenheit). This temperature is the same day and night, in the equator and poles. Because the temperature is so hot, this causes the probe or spacecraft to become too hot and overheat. Above: Venus atmosphere is thicker than Earth’s, but its made out of different components. This graph shows the molecules in each planet’s atmosphere. While Venus atmosphere majority is carbon dioxide (CO2), Earth’s atmosphere majority is nitrogen (N2), but Venus also has a big amount of nitrogen (N2) in its atmosphere. 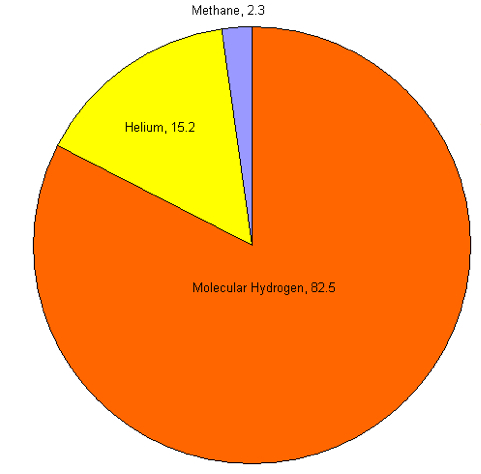 While Earth is different from Venus, the graph shows that Mars shares the same atmospheric element: CO2. The pressure from the atmosphere on the surface of Venus is also high. The pressure of the Venus atmosphere causes the probes to slow down making them less likely to pass through the whole atmosphere onto the surface of Venus. There have been many spacecrafts and probes that the Soviet Union sent to Venus in the 1960’s in order to explore the surface that either lost contact, were destroyed while entering the atmosphere, or were lost after their batteries died while going slowly through the atmosphere. Also, the pressure of the atmosphere is so high that it crushes what goes into its atmosphere. This is how many probes and spacecrafts have failed and lost. While Earth’s atmosphere pressure is l bar at sea level, Venus atmosphere is 92 bars on the surface. In other words, Venus atmosphere is 92 times with more pressure than Earth. Above: This graph shows the pressure of Venus atmosphere. The deeper you go into the atmosphere (meaning lower altitude), the more pressure you are exposed to. The Surface and Atmosphere Geochemical Explorer (SAGE) mission to Venus is meant to overcome all the obstacles that previous spacecrafts had and explore the surface of Venus. This is a probe that is made in the United States by NASA, but the mission has not been fully funded. SAGE is a proposed mission that will hopefully help people understand what Venus looks like. This probe is only meant to survive about 3 hours on Venus and land on a volcano. SAGE is shaped as a sphere in order to not be crushed by the atmosphere. From the outside, it will look like a giant ball bearing. On the inside, the core that is made out of titanium and there will be cameras, spectrometers, and other instruments that will help explore Venus. SAGE will not have wheels, like the Mars probes, because Venus surface is filled with volcanoes, and it is really soft with really hard rocks that can break tools that can be used by the probes. Because of Venus high temperature, SAGE will have special insulation made out of lithium nitrate to protect the instruments. Despite Venus’ harsh atmosphere, most of the probes and spacecrafts that were sent to Venus have not succeeded. The Soviet Union attempts on finding information about Venus by sending probes has helped improve future missions, like SAGE proposed mission. Maybe one day the mysterious of Venus will be revealed! Location, Location: where would we establish another colony? Typically in science fiction, humanity enters space to find that it is filled with thousands of planets, all identical to Earth, waiting to be explored and colonized. However, in real life, we aren’t as spoiled for choice. Given our limited range of travel through our galaxy, and the technology of our time, what are our options? While more planets are being found all the time, there are three places right now that are major contenders for a possible colony: the Moon, Mars, or the neighboring extrasolar, or exoplanets of Kepler 62F and Alpha Centauri Bb. To start, here is some background information of the history of these planets as options for colonization. Earth’s natural satellite has always been the first thought when considering space travel. It was the finishing point for the space race between The United States and The Soviet Union in the 1960’s. It has been fantasized as the next home of humanity in popular culture, such as in the Robert Heinlein novel “The Moon is a Harsh Mistress” or the more recent film, “Moon”. Even during the George W. Bush administration, the United States government proposed a plan for an established lunar colony by the year 2020 (the plan fell apart after the 2008 economic collapse forced the government to cut spending from NASA). Despite these setbacks for the U.S, the space agencies of the countries that haven’t made it to the moon, such as China, The European Union, India and others have been planning their own missions. If the Moon has been the first to come to mind when thinking of where to colonize, then Mars has been a close second. Although not the object of a worldwide race between rival countries like the Moon, Mars has been the subject of a decade long series of unmanned missions by the United States, most recently via the Curiosity rover, which has found evidence of frozen water.Plans have been made for a manned mission to Mars in the year 2020, with the rover missions first testing if Mars can support a manned mission. Extrasolar planets, or exoplanets, are defined as “a planet that orbits a star in a solar system other than that outside of Earth”. Exoplanet systems contain the greatest chance of finding a planet that is similar to Earth in terms of atmosphere, ecosystem, or gravity. Additionally, exoplanets are being discovered at an extremely fast rate. The planet of Kepler 62F, the fifth planet of the recently discovered Kepler star system is found to have a slightly higher mass than Earth. In the relative context of planet discovery, this is a quality that draws the attention scientists. Additionally, Alpha centauri Bb has a mass similar to Earth. Given the specificity of what humans would need to successfully live on another planet, the three factors to consider when choosing a planet to live on are its atmosphere, its gravity, and its distance from Earth. A crucial factor in deciding what other planet to live on is the quality of its atmosphere. Our first colony option, the Moon, has no atmosphere, which would require us to build an artificial structure to live on it. This could be both expensive and time-consuming. Mars’ atmosphere is composed of Carbon Dioxide, Nitrogen, and Argon. This would also require an artificial structure or an attempt at Terraforming, something out of the pages of science fiction. A recently discovered exoplanet, on the other hand, could have a similar atmosphere to Earth, which could both remove the factors of cost and time. A second factor in considering where to colonize, is a planet’s distance from Earth. Given that a colony on another planet would require resources and colonists from Earth, distance is important to consider. The Moon would be advantageous in that it is only 384,400 kilometers, the closest of the three options. Mars, on the other hand, would take longer, with the distance from the Sun being 54,600,000 kilometers. Both of these distances are topped by the distance it would take to reach the nearest Exoplanet, orbiting the star of Alpha Centauri B. First, given by the fact that it is in another solar system, humanity would first have to find a way to travel 4.37 light years, the time estimated it would take light to travel there. For Kelper 62F, that distance would be 1,200 light years. Previous expeditions to both the Moon and Mars, such as the Apollo missions and the Curiosity Rover mission, have taken from 3-5 days to get to the Moon to 8 months to get to Mars. Below is a graph showing the gravities of the four planets and the moon. We know so little about the surface of Alpha Centauri Bb, that its gravity is unknown to us. Another part to consider is the force of that planet’s gravity. The Moon’s gravity has been measured at 5.328 ft./s2. Mars is measured at 12.2 ft./s2. The gravity of an exoplanet depends on the planet. Kepler 62F has a gravity approximately 1.4 times the gravity of Earth. The following graph gives an ample comparison of the four planets. An important factor to consider are the effects a different gravity can have on the human anatomy. Depending on the gravity of the planet, the human body would have to exert more or less physical energy than it would on Earth. This could potentially have negative effects on us: If certain parts of our body are not exercised on a regular basis, that part will atrophy (a state where an organ or other part of the body withers, weakens, and dies). When deciding the next habitat of humanity, there is no perfect option. In terms of distance, all four options require a trip of thousands or millions of miles each. While the Moon and Mars can be reached in a short period of time, it would take thousands of years for humans to reach either of the exoplanets, unless a method of going faster than the speed of light existed. The Moon has no form of atmosphere, both exoplanets could potentially have suitable atmosphere, but their compositions remain unknown. Mars, on the other hand, has some making of an atmosphere, but it is toxic to humans. Lastly, the Moon and Mars both have similarly weak gravities, and the gravity of Alpha Centauri Bb is a mystery. only Kepler 62F has the most acceptable gravity for colonization. this all contributes to the fact that with every option has its pros and cons, giving the question of where humans could colonize an unclear answer. An amazing win was made by Team Mitchigan, today, Saturday, May 11, 2013, at the Air Force Academy High School (AFAHS) during Operation Airlift, a yearly competition to design a cost-effective remotely operated vehicle (ROV) for near-space exploration. Today’s Operation Airlift engineering competition helped students at the Air Force Academy High School, and invited middle school Chicago Quest, to challenge their skills and knowledge about engineering and communication. Students used techniques that they learned in school and at the Adler Planetarium, which is also co-sponsoring the event. The challenge is to build an ROV and test it on a balloon. “It was very exciting and being the only middle school represented in the middle of high school teams gives you a sense of accomplishment.”- Ms. Ahmad on what it was like competing at a different school. As the teams developed ideas for their ROV, each team had to list all the items they needed on a requisition form. Students had to turn it into the supply store, get it approved and receive a badge by the supply store staff. After this, the team supply manager was in charge of getting all the supplies, making sure that they paid the correct amount of money and, if necessary, revising the requisition form with new materials. The members of each team put their heads together to think of techniques to use for the ROV. The Brocklums seemed pretty confident in their position in the competition. They didn’t let the pressure of the competition ruin their spirits, telling jokes and taking Facebook breaks. The adults in the group watched with pride and confidence as well. Team Scary Unicorn, one of the largest groups, brainstormed on ways to lift the air balloon quicker. The competition was intense! Some of the volunteers were going around spreading rumors that other teams were almost done which made teams work faster towards their goal. All of the teams used Minigroup as a form of translating their progress into the internet. At one point, Ms. Lowery, the headquarters commander from Aero-Pollo, walked down the quiet hallway. She walked in the Mitchigan Headquarters screaming, “Is this what a losing team smells like?” The team kicked her out, saying, “Why are you cheating Ms. Lowery? Go away.” They loudly closed the door and Ms. Lowery left laughing. Once the students are done, they have to test their ROVs in the gym area before testing grounds close. Over the intercom, Dr. Friedman in a sarcastic voice announced the end of the testing. All teams rushed to put their finishing touches to their ROVs. 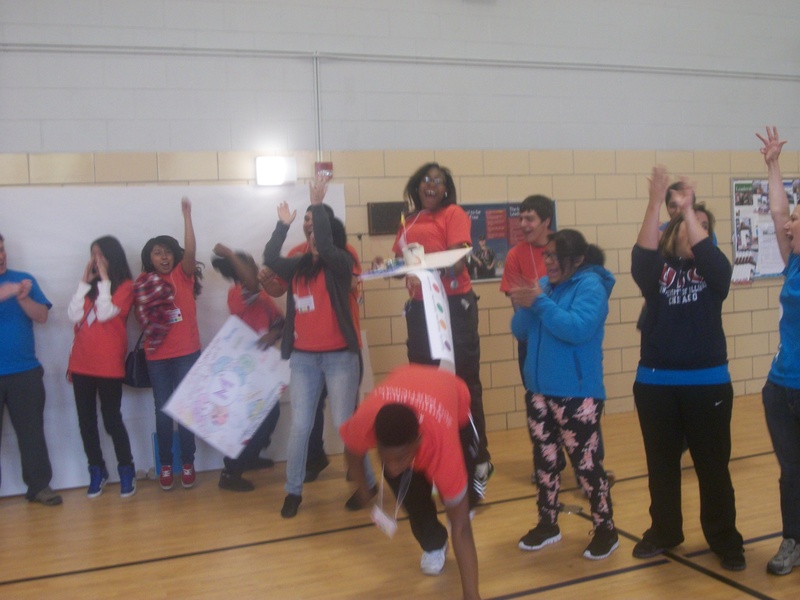 The excitement of the event was at its peak, with cheers and laughter erupting in the halls. As teams went into the situation room to present their ROV, they had posters to present the ROV and the team. Each team presented why their ROV was the best. They explained why the ROV was designed the way it was. “I wish there could be more visual presentations like ROV designs and the ROV itself,” said Jennifer Bundy, an Adler Educator and presentation judge. At the end, everyone cheered for each other. “Everyone did a great job,” Dr. Friedman told audience. Each team took a team picture and was given a chance to do their team slogan or chants. The Aero-Pollo did the chicken dance as their chant. The chants grew louder and louder as each of the winners were announced. Everyone cheered for team Hancook for winning third place. Although, some disappointed faces began to form as the the second place winners, Ahmad and the Rockets from Chicago Quest, were announced. But the room was revived with shouting and laughter with the announcement of the first place winners, Team Mitchigan. Tears and sobbing faces didn’t shy away from the opportunity to show their appreciation of the overall victory. Team Mitchigan, a group of students at Chicago’s Air Force Academy High School, two mentors and two teachers. Their goal? To win Operation Airlift. The team’s name is a mixture of both of their teachers, Ms. Mitchell and Ms. Milligan. Operation Airlift is a yearly competition in which students attempt to build a successful ROV on their own with the slight help of mentors and teachers. They must all work together cohesively towards their goal. The ROV must be able to fly, be remotely controlled and lift a certain amount of weight. Team Mitchigan was an interesting team to observe. They started out as quiet, shy people, not sure what to do first. As the day went on they progressively communicated more and more with each other. They were the first team to successfully complete the testing of their ROV. They kept good sportsmanship and mutual respect towards themselves, their teammates, their teachers and their mentors. They were supportive of one another and worked diligently. They stayed on task without the help of their teachers, which I found to be impressive. These high school students worked together as researchers, bloggers, builders and marketers. These are all skills that will help them when they’re older and entering the workforce as well as everyday. The team was confident throughout the day. They thought they had a late start but they still worked hard to catch up and ended up bypassing the rest of their competition for the first half of the day. I think it’s essential for students to participate in team competitions early in their life. It teaches them to have good sportsmanship, communicate well and play fairly. If they win, they definitely deserve it. They seemed to really enjoy their time and thought it was a good experience for them. They were very happy and grateful to be a part of the Adler’s Operation Airlift. Since at the time of this article, the competition is still running, I guess we’ll see. May the best team win and good luck to everyone. When you think about the nine planets, which one comes to mind first? More than likely you’re probably thinking of either Mars or Jupiter. Why not Uranus? For obvious reasons, the planet is not very popular. For one thing, there hasn’t been a spacecraft sent there since January 1986, when Voyager 2 passed by the planet. If in the near future, an orbiter makes the first attempt in circling the planet, it would endure the intense heat of the thermosphere and stratosphere. Who knows, it might become covered in blue! Here on Earth we have five layers of atmosphere: the exosphere, thermosphere, mesosphere, stratosphere, troposphere. 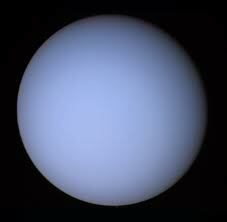 However, Uranus only contains three layers of atmosphere. The thermosphere, or the outermost layer, absorbs solar energy and is heated to surging levels of 850K. That’s nearly four times the temperature here! This heat is shared with the middle layer, or stratosphere. As you travel down to the troposphere, you would notice a great decrease in temperature levels. Instead of holding intense heat, a lot of other processes determine the temperature in the troposphere: including water clouds, ammonium hydrosulfide clouds, zonal winds, and seasonal change. The stratosphere is also responsible for the turquoise color surrounding the planet. As the heat from the thermosphere flows through the stratosphere it ignites the methane, splitting and separating it. The elements inside of Uranus’ atmosphere are greatly different from the elements inside of Earth’s atmosphere. Earth’s atmosphere contains oxygen, nitrogen, argon and carbon dioxide, which are not found on Uranus. Below are two pie charts showing the composition of Uranus’ and Earth’s atmospheres. Since Uranus does not contain oxygen and nitrogen we would not be able to live on the planet. It’s a possibility that the gases on the planet would allow a spacecraft or an orbiter to travel through, but they may also be flammable. Have you heard of the Hindenburg Disaster of 1937? 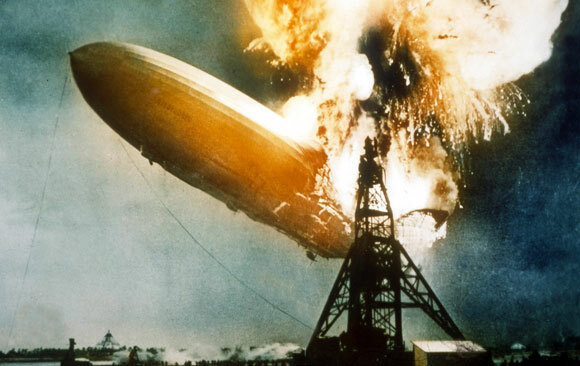 As the blimp made a last attempt in landing in its harbor, it exploded due to friction of hydrogen and oxygen. One of Uranus’ primary elements is hydrogen. If a spacecraft filled with oxygen traveled through the atmosphere, the friction between the two elements may cause an explosion, which would make the planet dangerous for human life. If a spacecraft were to enter the planet, it would need to be made from something other than oxygen or any element that may cause an explosion. Uranus has many components that have not been explored since 1986. What new discoveries will we find if we visit again? Perhaps something that will make you think of Uranus first when considering the planets. Near-Earth Asteroids of 2013: How scientists track asteroids passing close to Earth and whether we should be concerned. An asteroid the size of a city flew by Earth the second week of March 2013. It was found just six days before it was set to take its course. If it was headed to directly impact our planet, would we have had enough time to react? Due to advances in technology, scientists are discovering more and more near-Earth asteroids (NEAs). History was made last month when an asteroid flew by Earth closer than any other asteroid had come in a century–17,100 miles, as close as the orbit of most satellites. In comparison, the asteroid that passed by Earth on March 9 was 600,000 miles away, 2.5 times the distance of the moon from Earth. If an NEA was set to directly impact Earth, would we need time to do something or would it just burn up harmlessly in Earth’s atmosphere? When car-sized asteroids hit Earth’s atmosphere, they catch fire and burn up before they reach the surface. If an asteroid the size of a football field was to hit the Earth, it would cause significant damage. Anything from one kilometer wide or larger would potentially have worldwide effects. According to NASA Administrator Charles Bolden, praying is all anyone could do if a large asteroid was set strike Earth. This graph shows the relationship between the sizes of asteroids in the main belt and their quantity. Asteroids from the main belt occasionally pass by Earth, anything larger than one kilometer would be a cause for worldwide concern. 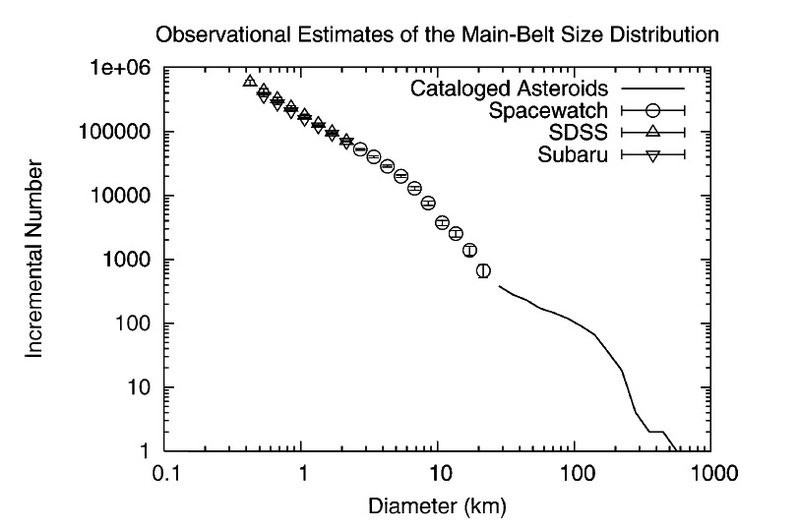 But, as the graph above shows, as the size of asteroids increases, their quantity in the main belt decreases. (Figure from: O’Brien, D., Greenberg, R., 2005. The Collisional and Dynamical Evolution of the Main-Belt and NEA Size Distributions. Icarus, 174, 179-212 ). As of March 19th, the chances of being hit by a large asteroid in 2013 are 1 in 20,000. The asteroid that passed Earth in March 2013 was about the size of a city. If it had hit Earth, it would’ve destroyed a whole city according to Slooh, a robotic telescope that can be viewed through most web browsers. If an asteroid was headed for Earth now, it would take at least five years for scientists to develop a defense system to deflect it or try to destroy it, according to Bolden and John Holdren, Assistant to the President for Science and Technology. An asteroid’s orbit is predicted by finding the elliptical path around the sun that best fits scientists’ observations of it. The object’s predicted path around the sun is adjusted until the predictions of where the asteroid should have appeared in the sky at multiple observed times match the positions where the object was actually observed to be at those same times. As more observations are used to further improve the prediction of an object’s orbit, it becomes more accurate. Some scientists believe that asteroids coming close to Earth should be something to be concerned about. NASA is tracking about 95 percent of the largest flying objects near Earth, those that are one kilometer or larger in diameter. Could one of these untracked asteroids be headed straight for Earth? Researchers estimate that there are about 500,000 NEAs and so far, they’ve only tracked the orbit of about 9,600. On average, objects that are 50 meters or larger are estimated to hit Earth once in every 1000 years. According to Holdren, an asteroid of that size could end civilization as we currently know it. He added that only about 10 percent of an estimated 10,000 “city-killer” asteroids have been found. Considering these recent asteroids weren’t found until they were on course to pass by Earth, maybe we really should pray that there aren’t any “city-killers” headed our way.